Amongst my wanderings, I’ve also been quite productive. I really have my sights set on getting enough items together to start my Etsy store. It’s been a while since I’ve done some serious amigurumi stuff (excluding the bits and pieces I made for the Dirty Granny show, but that was deadline crochet which is never fun). 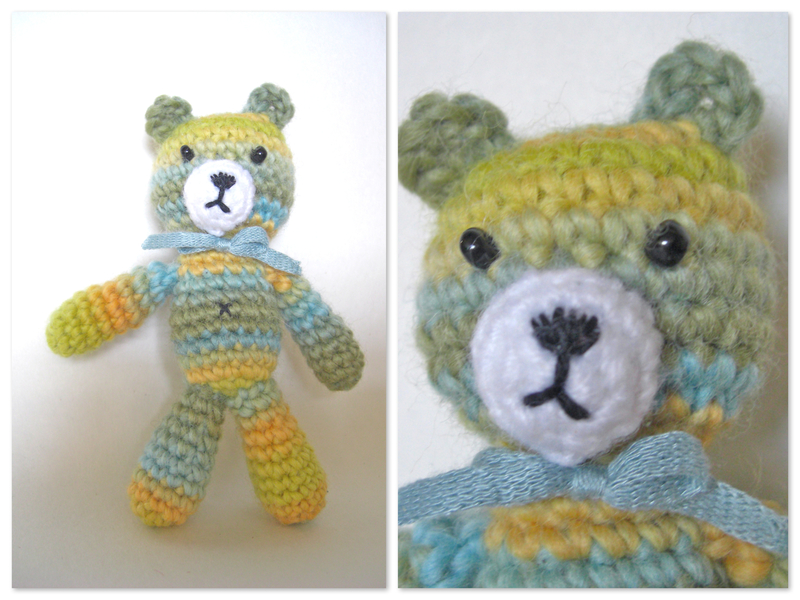 First up is this little bear. I used the Pop Merino I got from Pierrot Yarns, and I have to say that it was a delight to work with; very soft, but didn’t split too much for an un-plied yarn. I love how the colors came out too, even the muddier sections where the overlap was. I wasn’t entirely happy with the proportions, and his legs turned out a little short and club-footed. I’ll probably snip those off and remake them – I have plenty of yarn left. He has a wonky eye, which I actually love, and I’m super pleased with how his nose and mouth embroidery turned out. Next, I made a cat with the left over yarn I had from making a beret for my friend Leeana (I’ll be writing a post on our swap later in the week! ), and he turned out pretty much exactly as I wanted. The yarn is Cleckheaton Country Tartan, which I must say I loved crocheting with, and his snout is just a bit of random acrylic. His proportions are right on, and I love his longer legs (I usually get impatient and start the body sooner), and I made some i-cord for his tail (the first time I’ve ever done a knitted i-cord rather than using a knitting nancy! Super pleased). Also, his confused look kind of makes me happy. What crocheted critters would you like to see me have a go at? I feel like I’m on a lion-bear-cat-bunny loop, so suggest away! They are very cute. Can you make a panda bear or a giraffe? I’ve made a panda before, but a giraffe… that’s a good idea! I would say an echidna, with i-cord spines, but that would be a lot of i-cording so how about a wombat or a koala? 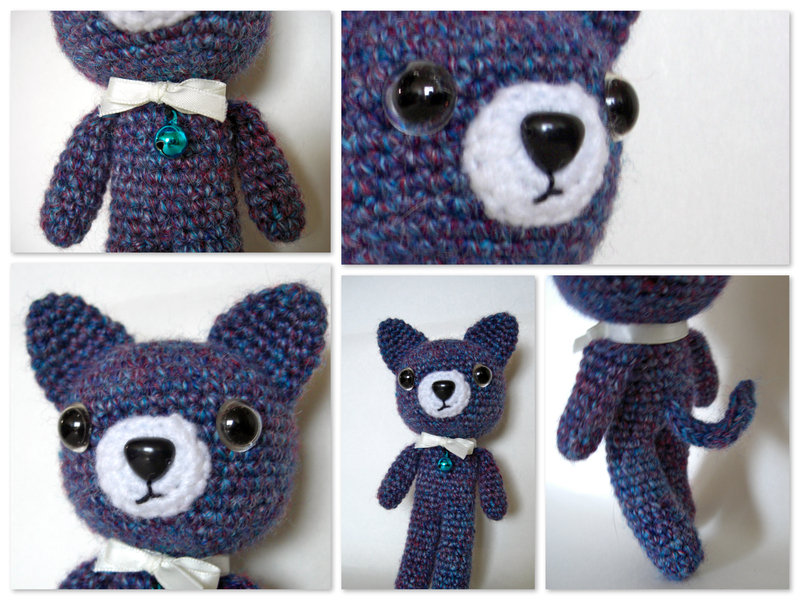 I do like the cat a lot, I think the little legs on the bear are kind of cute, makes him a good size for little people’s hands or to tuck into a pocket. I have a thing against koalas, but I adore wombats, and I think an echidna would be super cute too! In fact, those knitted hedgehogs seem to be quite popular, so a nice variation would be a crocheted echidna. Nice idea! i love the kitty soverymuch! what about a fox? i hear they are the new owls! we need pictures of both!